OriginTrail is proud to announce a pilot project with TagItSmart sensors whereby it will provide supply chain data integrity with the OriginTrail protocol alpha version. This announcement marks the successful completion of the first phase of the pilot project — the data integration phase. In cooperation with Internet-of-Things (IoT) solutions provider DunavNET, the project will enable wine producer Plantaze to showcase the veracity of their premium, award-winning wine. This is the first project where OriginTrail will be used for data coming from smart tags and the entities engaging them, which will enable the tracking of more than 15,000 unique wine bottles with the company’s protocol and TagItSmart solutions. 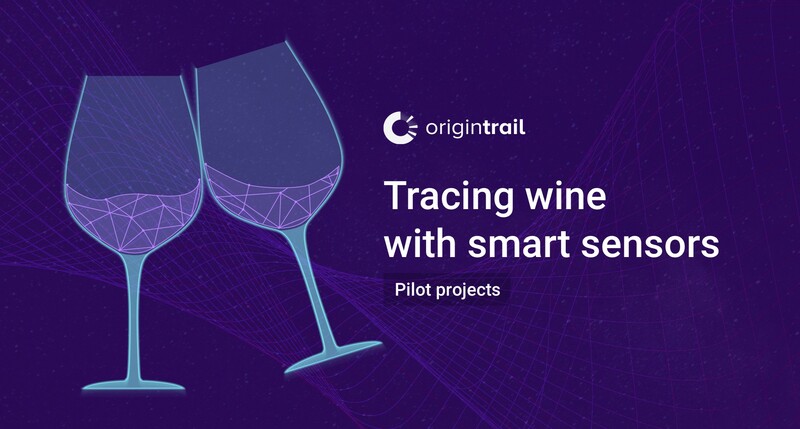 OriginTrail’s decentralized, blockchain-based protocol provides a foundation for tracking wine from the vineyard to the point of sale as a safety measure alongside TagItSmart’s anti-counterfeit technology, utilizing photochromic ink together with unique QR codes. TagItWine project uses TagItSmart platform to implement a pilot system for brand protection and anti-counterfeiting in the wine industry. TagItWine project is led by the University of Donja Gorica and the solution is being tested in collaboration with the wine producer Plantaze from Montenegro, an up-and-coming wine region in Southern Europe. Plantaze’s premium and ultra-premium wines, consisting mostly of red and sparkling wines, are sold in more than 35 countries all over the world. The company just expanded its distribution to the Chinese market which highly values European wines. That is why it was actively seeking a way to prove the veracity and authenticity of origin for each bottle. 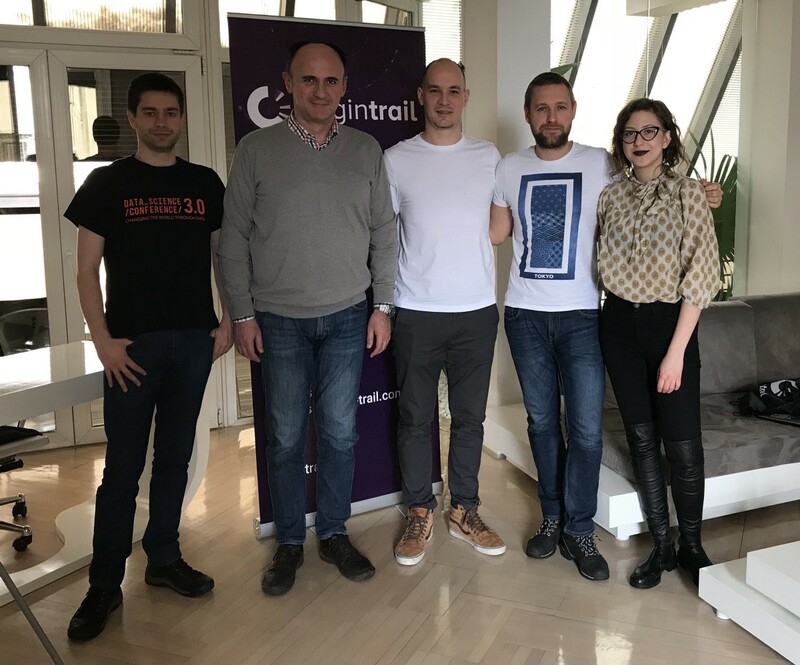 “Including data from smart sensors on OriginTrail is an additional step which proves that OriginTrail is really a universal solution that is bound to become a standard for supply chains of the future,” said Tomaz Levak, OriginTrail CEO and co-founder. Dr. Srdjan Krco, CEO of DunavNET and OriginTrail advisor, elaborated on the benefits of cooperation: “The anti-counterfeit solution created by TagItSmart within the TagItWine project presents a great leap forward in securing product authenticity by utilizing IoT, smart labels. Adding OriginTrail’s blockchain-based protocol ensures the data integrity and transparency.” Srdjan has published over 15 patents and more than 70 papers at international conferences and journals; In 2007, he won the Innovation Engineer of the Year award in Ireland while working at Ericsson. 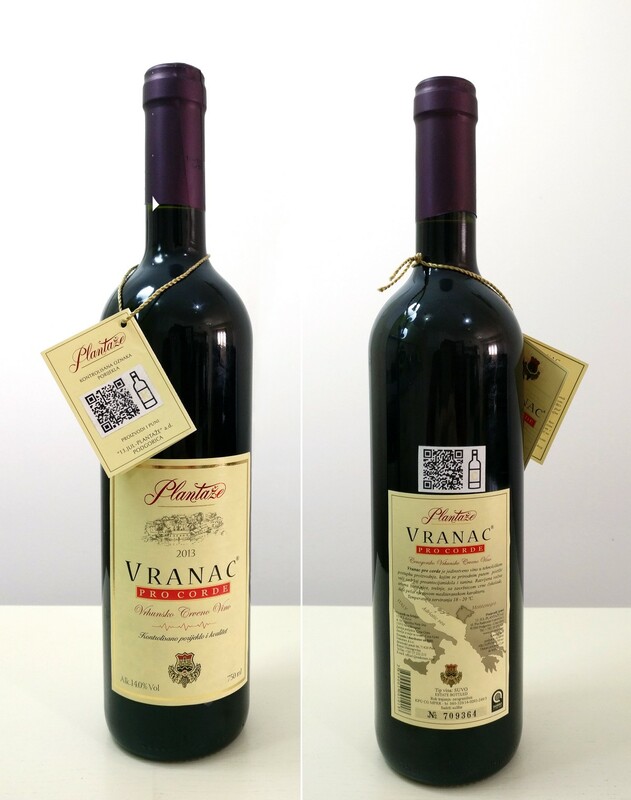 In this pilot project, each wine bottle will get a unique digital identity and is equipped with a smart tag that uses a unique QR code with additional specific information printed using photochromic ink. By applying a relatively strong light source (such as the flash on a mobile phone) the photochromic properties of the ink enable the customer to see previously invisible information (like a particular character) that, when paired with the unique QR code and checked on the OriginTrail platform, can be used to fully authenticate a specific bottle. The OriginTrail protocol keeps track of historical information about each bottle by interacting with the TagItSmart platform. Throughout the life cycle of the wine bottle, consumers can check its authenticity and get the details about that particular bottle of wine. Each scan of the QR code is logged and the information about that particular bottle is updated and used by the solution’s heuristics. For example, a consumer can check a bottle with their mobile phone while in a retail store — even when a smart tag is valid — and the anti-counterfeiting system will then identify a problem — like whether or not a bottle with that same tag has been previously labeled as purchased or consumed — if there is one.This pilot was performed in two phases, the data integration phase — which has been successfully completed — and consumer-facing interface implementation which will introduce OriginTrail checks in the TagItSmart application (available soon). Plantaze produces over 40 different wines, made of 26 wine grape varieties. It is the leading wine producer in the region with the production of cca 22 million kilos of wine grapes and sales of over 15 million wine bottles annually in 35 countries of the world. OriginTrail will start by tracing its premium product lines for export. DunavNET, the company behind TagItSmart platform, is an IoT solution design company with offices in Serbia & Ireland. Leveraging the features of functional codes — QR codes printed using functional inks — TagItSmart creates context-sensitive sensors for mass-market products, converting them into connected products with unique identities that can report on their environment. A whole new range of services will be created to utilize the opportunities that the smart tags present. The goal is nothing less than the creation of an almost infrastructure-less IoT framework applicable in multiple sectors. TagItSmart’s initial formula was to combine printed smart tags with “crowd sourced smartphone scans” and the cloud to create an IoT ecosystem for mass-market products. OriginTrail’s protocol adds the missing puzzle to provide data integrity and trust via its blockchain based protocol, allowing further utilization of the data connectivity across different platforms. Successful implementation of the pilot project for the Plantaze winery is the first step towards further potential integration of TagItSmart smart sensor data with the OriginTrail protocol. The TagItSmart ecosystem consists of international partners working on the concept of “product passports” as an identity solution. As DunavNET CEO Krco explained in his advisor interview, the OriginTrail protocol will act as one of the important enablers for the implementation of TagItSmart concept globally in creating a truly transparent and secure supply chain, particularly for the food industry. The last part of this blog post is the further description of the technology behind data verification. If you are interested to know more, read on! 2. batch ID hash — a Solidity sha3 hash value of the batch id (UID of the bottle in this case). As we are developing the protocol we will be working on improving the fingerprinting performance and graph logic.